Martha Lou Messer Beck, 84, of Cleveland, passed away on Sunday, February 18, 2018, at her residence. She had lived in the Cleveland area most of her life and was a member of Dalton Pike Baptist Church. 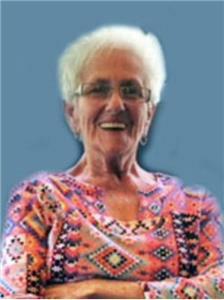 She loved to sew and crochet and spend time with her grandchildren. She had worked for Faye Swafford and as a care giver for many years. She was preceded in death by her husband, Estel Beck; parents, William Messer and Mary Womac Messer; granddaughter, Lacey Neloms; brother, Wayne Messer; and sisters, Betty Hayes, Judy Frost, and Bernita Messer. She is survived by two daughters, Shirley A. Goins and husband Terry of Decatur, Tn., and Tammy Pickens and husband James of Cleveland; four grandchildren, Angela Goins, Duke Goins, Kimberly Jones, and Zachary Neloms; six great grandchildren, Lauren Reagan, Amanda Reagan, Megan Goins, Creed Goins, Ethan Jones, and Juliet Jones; and two great-great-grandchildren, Clara Reagan and Bryson Floyd; brother, James Messer of Cleveland; and several nieces and nephews also survive. Funeral services will be conducted at 2 p.m. on Wednesday, Feb. 21, in the chapel of Ralph Buckner Funeral Home with Reverend Dudley Nichols officiating. Interment will follow at Sunset Memorial Gardens with a white dove release ceremony and bagpipes to conclude the service. The family will receive friends from 5-7 p.m. on Tuesday, Feb. 20, at the funeral home. We invite you to send a message of condolence and view the Beck family guestbook at www.ralphbuckner.com.